Julia M. Doughty scavenges the beaches and woods of Maine to find natural objects as well as rusty remnants from the past. 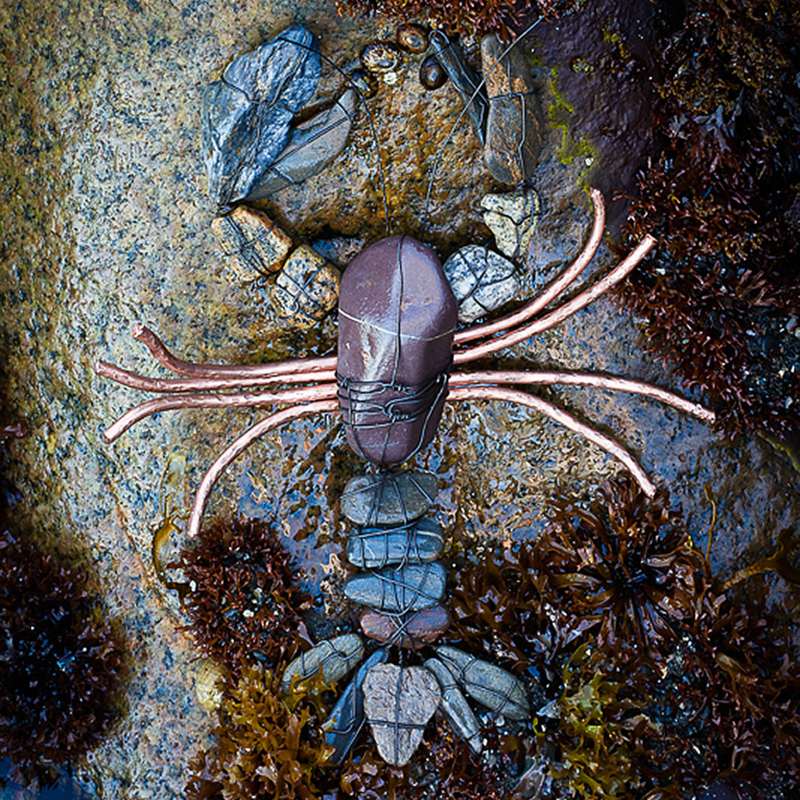 She combines the elements of wood, iron, copper and stone with glass and wire to create whimsical sea creatures of all sizes. 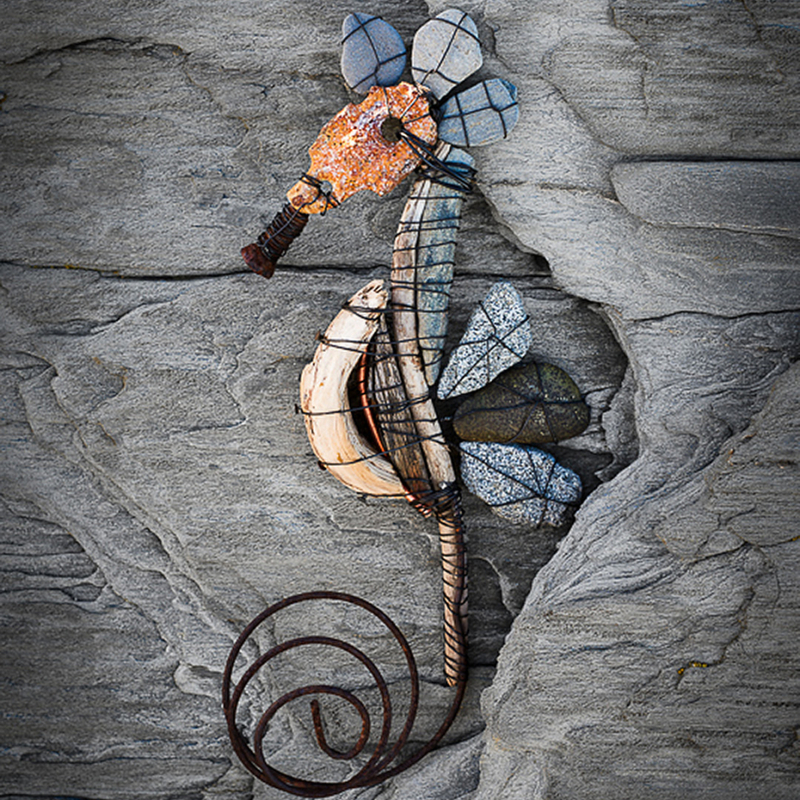 Doug Wood, a fine art photographer, creatively photographs Julia’s original found object sculptures, in unique and natural settings on the coast of Maine. These museum quality images have been produced as 5×7 notecards, boxed sets of notecards, framed 5×7 fine art prints and striking metal prints. The notecards are printed (with wind power) in full, rich color on premium heavy white stock. 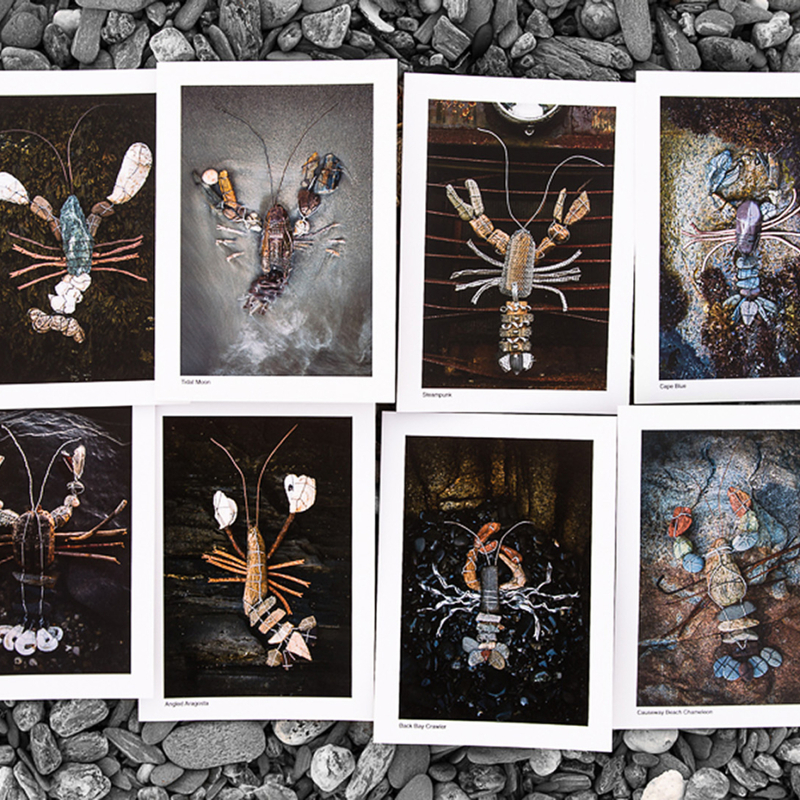 We have 8 lobster images and 3 seahorse images from which to choose, with more images and products being added every year. Keep in touch as we grow our inventory!